Visit Us Today for Specials not available on-line! 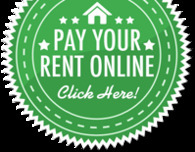 Upon moving in, all paid Application Fees are refunded (via rental credit)! Stay tuned to our Management Office for Early Bird renewal specials! Refer a Friend or Relative and earn $200 (per household) in rental credit upon their move-in! *Leasing incentives ("Specials") are subject to change without notice. *Rental rates are subject to change without notice. Visit or call us to confirm availability & pricing!